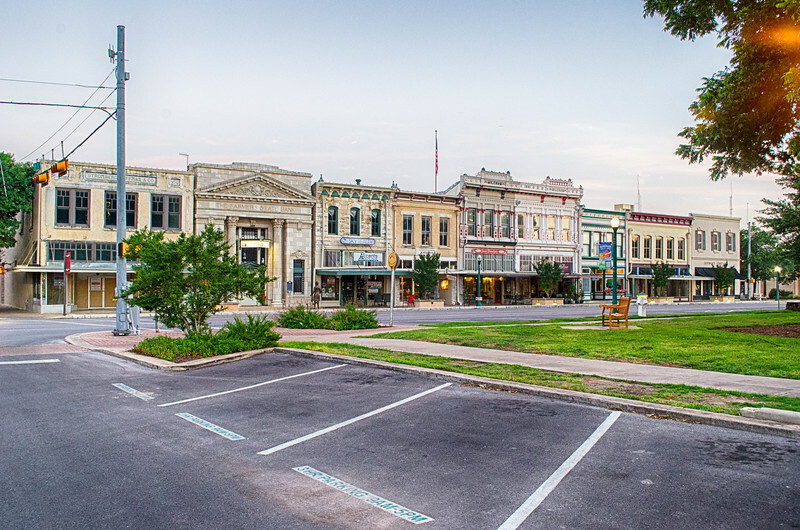 Small towns are famous for their town squares but one town has claimed the distinction of having the most beautiful town square in Texas. The town of Georgetown is located a short drive from Austin Texas but it is worlds away. With buildings dating back to the 1800’s, the town has made a concerted effort to keep the look and feel of a small town while continuing to attract new businesses. The town square comes alive each morning as locals, college students and visitors start their day. One of the first stops for everyone seems to be the Cianfrani Coffee Company where you can see people chatting or working on their computers utilizing the free WI-Fi. With various coffees and pastries, it is a popular place. 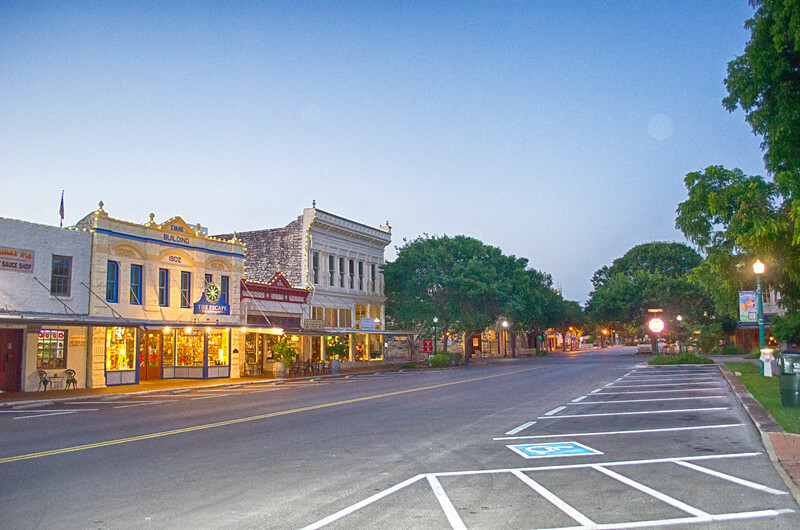 Various offices line the square along with antique shops, boutiques, wineries, jewelers, the Williamson County Museum, the Palace Theater, Bistros, restaurants and Pizzerias. With so many downtown areas being neglected and abandoned Georgetown has made a concerted effort to revitalize and transform the town square into a destination.From the old historic neighborhoods and quaint B&B’s, cafes and restaurants to the new areas of town being built to attract businesses and residents this town has managed to keep its small town charm. 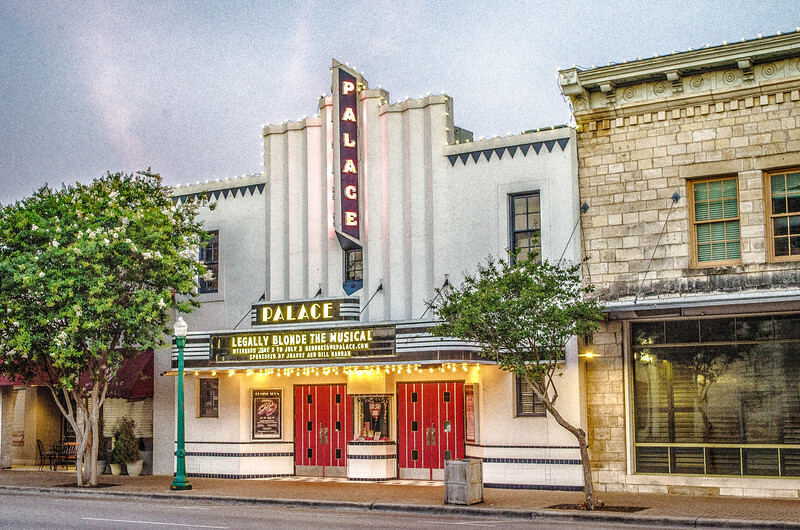 Located just off the square The Palace Theater, originally built in 1926, has been fully restored and is now used for live plays. When the theater first opened silent movies were shown and later regular movies. With the advent of multi-screen movie theaters, the small one screen movie house became unpopular and unprofitable. 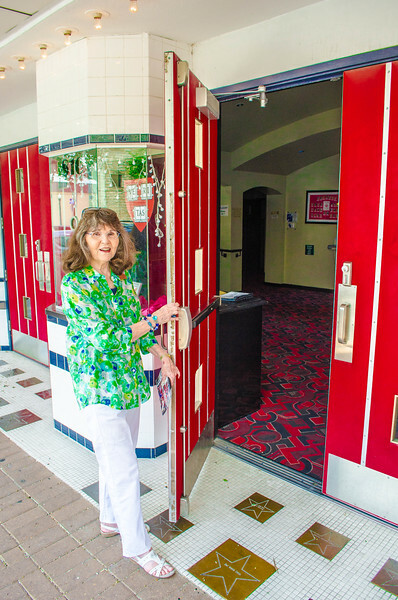 The Palace fell into disarray until a group of people decided to buy and restore the theater to its former glory. In 2000 the restoration was complete and today the theater offers live plays. Manned by volunteers the theater also offers workshops, classes and puts on smaller productions in a building across the street from the main theater. The Georgetown Art Center is housed in the old firehouse and the San Gabriel river flows through town and located just a few short blocks from downtown where the river is a favorite place for picnics and swimming in the wide natural pool. The “Blue Hole” is a popular place on a hot day. Cars are parked on both sides of the road leading to the park and the small public parking lot is usually pretty full. It is easy to see why when you walk down the road and it ends next to the river. There are a lot of places to throw out a blanket or set up some chairs. 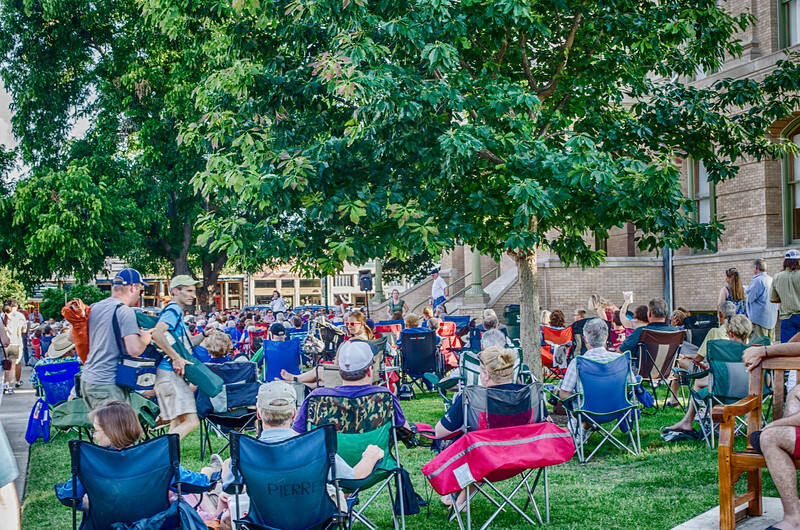 Live music concerts are held on the town square every Friday night where locals and tourists alike bring out folding chairs, coolers and blankets to sit on the lawn of the County Courthouse to listen and maybe even do a little dancing while the kids run around and play. On the second Saturday of every month the Square is turned into an open air market. 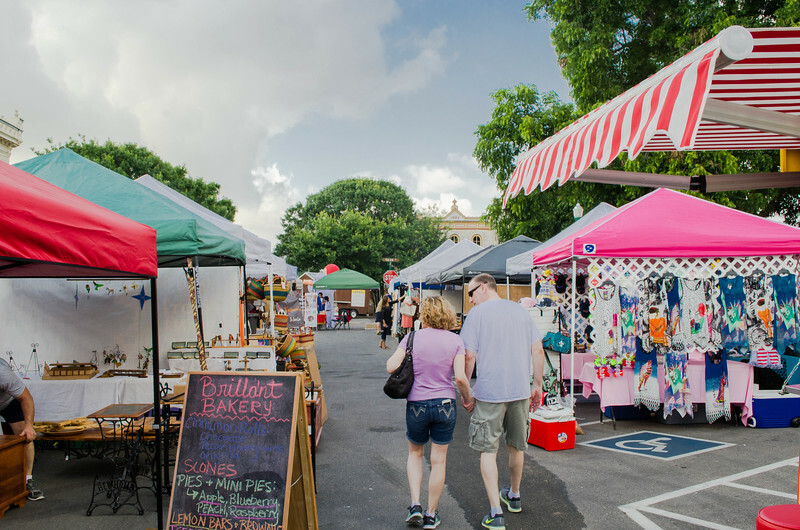 The 2nd Saturday Market Day brings out vendors both locals and from far away to sell everything from crafts, homemade goods and services. Several food vendors set up to feed the sellers and visitors alike. 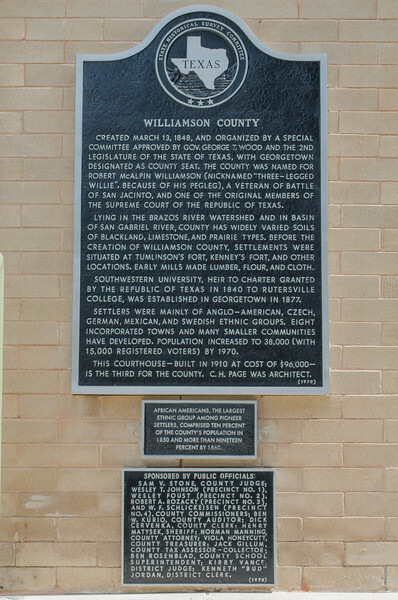 The Williamson County Museum is located on the square where various rotating displays of Williamson County history are displayed and a tour of the historic courthouse can be arranged. The Museum is located in an old bank building and the flooring, molding and skylights are original. 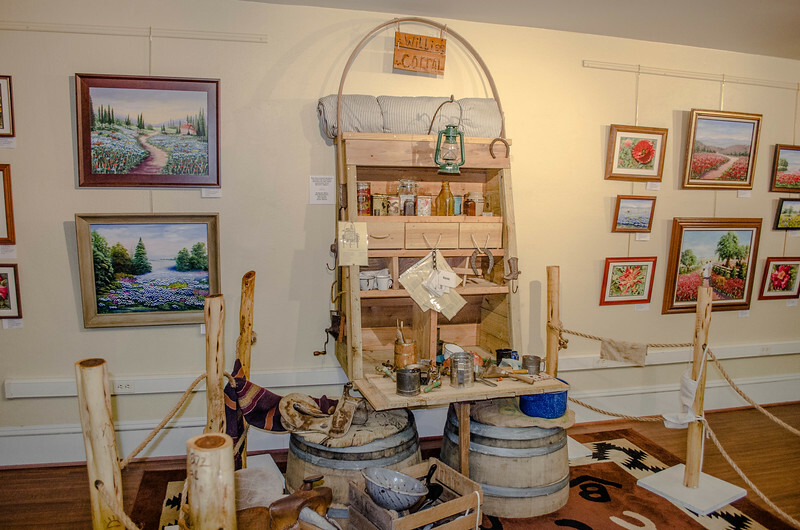 The Museum is also different from most where they have a lot of interactive displays where the kids, and adults too for that matter, can touch and examine things. 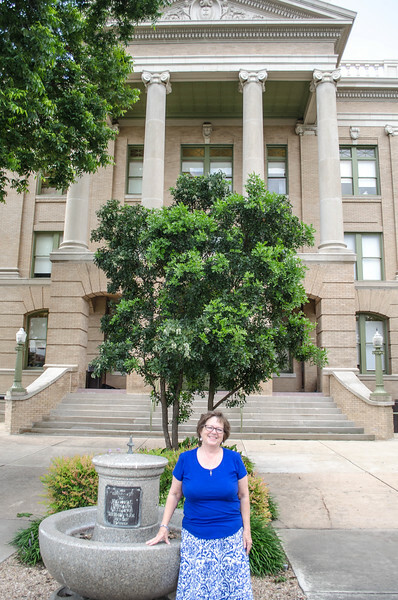 The current Williamson County Courthouse was built in 1909 and has since undergone restoration. 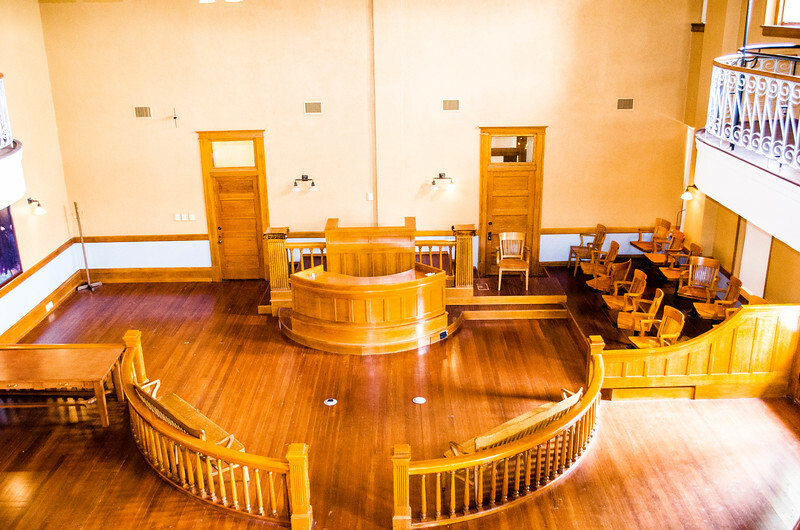 Complete with terrazzo floors, curved stairways and stately rotundas, the courtroom is a glimpse into the past. The courthouse has the distinction of being the location of the first successful prosecution of the 1920’s Ku Klux Klan. In 1923 ten Klansmen flogged and tarred a white traveling salesman for his refusal to leave Georgetown. One man, District Attorney Dan Moody, brought charges against the Klan and obtained several convictions which basically destroyed the Klan in the area and they never recovered. Today there is a Texas Historical Marker on the courthouse lawn marking this event. Walking around the beautiful town square and the rest of Georgetown you will notice numerous historical markers commemorating events and telling you the history of the buildings. Southwestern University, established in 1840 is located on what else but University Boulevard. The private four year Liberal Arts University has several historic buildings including the Cullen building which is listed in the National Register of Historic Places. Some of the more famous alumni include the American folklorist and writer J. Frank Dobie, comedian Bill Engvall and John Tower, former U.S. Senator from Texas along with several other noteworthy persons. Inner Space Caverns is located in Georgetown and was discovered in 1963 when a team from the Texas Highway Department was drilling core samples for a new overpass. Since then several miles of the cave have been surveyed. The caverns were opened to visitors in 1966 and since then hundreds of thousands of visitors have explored and been amazed at the caverns. 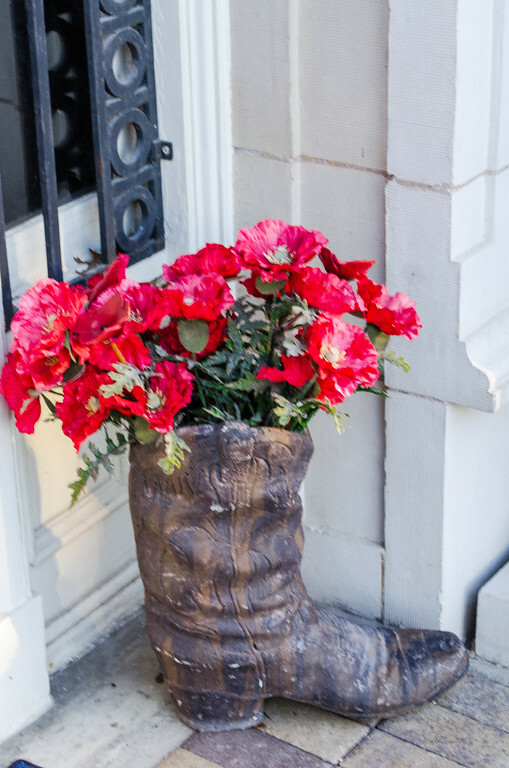 Georgetown is also known as the Red Poppy Capitol of Texas. Shortly after World War I Henry Purl Compton, a soldier in the American Expeditionary Forces sent some seeds home to his mother. She planted them and soon they were dispersed all over town by birds, bees and people. Inspired by the poem “in Flanders Fields” the Red Poppy has been a symbol of remembrance of servicemen and women killed in action since 1921. 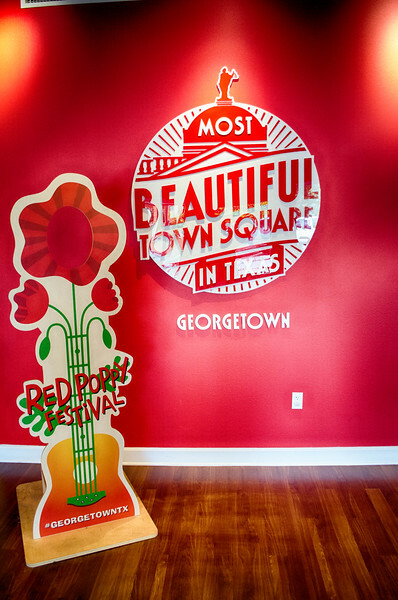 Each year in April Georgetown hosts the Red Poppy Festival with concerts, car shows, arts and crafts and a host of family activities. 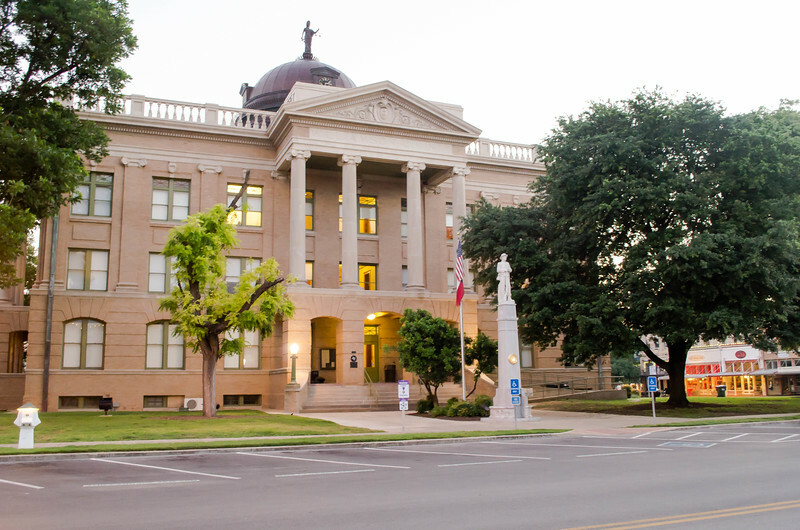 After visiting Georgetown, it is easy to see why it is called the most beautiful town square in Texas as it continues to attract tourists and new residents but is doing so in a way not to detract from the small town charm. My visit was arranged by the Georgetown Convention Visitors Bureau and they graciously hosted me for the three days I was there. Wow, didn’t know Georgetown was the most beautiful town square in Texas. But it’s not that surprising when you visit it. Growing up nearby, I have been there countless times, and everywhere else you mentioned in this article. ISC are amazing and the BH is definitely refreshing on a hot day. Nice little round-up here. Didn’t know that about the KKK either. Interesting stuff. BTW your photography skills are improving. Cheers! Thanks Derek, Georgetown is a great little town for a weekend visit, lots to do and see. It looks just like the town square in ‘Back to the future’. How cute! I love visiting small town squares and this one is really beautiful with such amazing architecture and unique looking shops and other store fronts. We also have a Palace theater where I live and it is finally getting the roof redone and hopefully air conditioning in the near future and yes these buildings are all a labor of love. Aw this place looks so sweet, I’m a small town lover! I am from one myself called Carterton which is located in New Zealand! Those shopfronts remind me of old cowboy movies. This looks like a beautiful little town. Your photos are amazing, I would love to visit and buy some produce in the market. I’ve been thinking about going to Texas for a while and this has made me want to visit even more. I love the small town feel, and any place where a blogger can take photos of an empty Main Street is a place I must add to my list. I love the big city life – even prefer it – but there is something charing about a place that is not so “busy” and perhaps running at a slower pace. It is nice to stop and breathe for a moment. Yeah, I actually had to get up pretty early and take the town square photos before the traffic and people started filling up the square. What a beautiful Town Square. I can understand why people want to spend time here. Thanks for sharing! This looks like such a nice and peaceful weekend getaway. I would surely like to relax next to that Blue Hole. 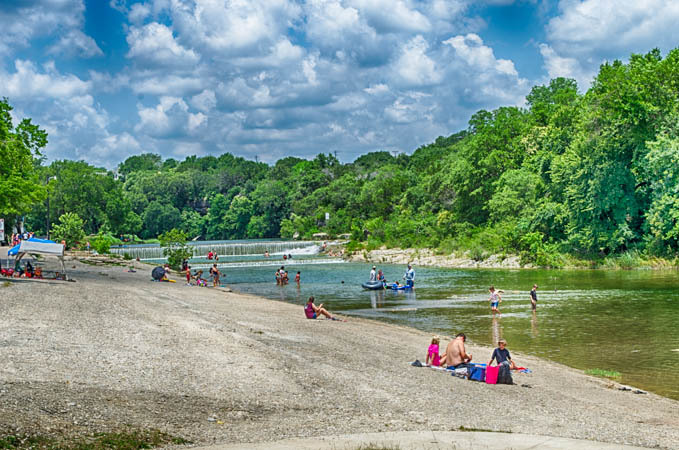 Looks like the perfect place to escape from the big city of Austin! What a charming town! Actually, I failed to mention it but several movies and shows were filmed there including: What’s Eating Gilbert Grape, Varsity Blues, Dazed and Confused, Michael, Bernie and the TV series Friday Night Lights. Love this article and beautiful. pictures. I live in Georgetown and love it. I know Chain Saw Massacre was filmed in Round Rock but didn’t know about Georgetown filming. The house used in Round Rock is no longer there. Wow, so quaint and charming! Thank you for sharing. I would have enjoyed the pictures a lot more if it had been possible to see them. Apparently it’s much more important to have link icons for sharing on Facebook, Pinterest, etc., though. The problem is, I really don’t want to share them (or the article) when I know that others will encounter the same frustration. Why not just put share-links at the bottom instead of covering the pictures? Maybe it’s an iOS thing, but they stayed smack in the middle of the picture no matter what I did. It’s a pity, because it is a lovely square, and I’d like to see pictures of it again.. I lived in G’town from 77-90, and I remember how dilapidated the square was in the “old days” and then how lovely it all became after they started renovating in the early 80s. It might be showing differently on mobile devices. I am a student at Southwestern University and have to say that I love living in Georgetown, TX. I love the small town feel of it and the history behind it. Me and my friends love to go out on the square and eat at all the local restaurants .It has definitely become my home and that will not change. I can see why you like it. There is part of the town that caters to the shopping malls and subdivisions but the downtown area and the area around the University is totally different . You have the best of both worlds. The square is really nice with all the shops and restaurants. Thanks for stopping by. I had no idea such place existed. Now you got me wanting to go there! You should, Georgetown is a great place. We enjoyed Texas a lot! The last time when we travel together with my family, it has a good place and they have very delicious foods. HI Bob, and thx for finding me on Twitter. Nice blog! I’ve never been to Georgetown (or Austin!) but would love to visit both. Georgetown looks very charming. Georgetown is a great place to visit, and close to Austin. Hi and welcome to The Traveling Fool. 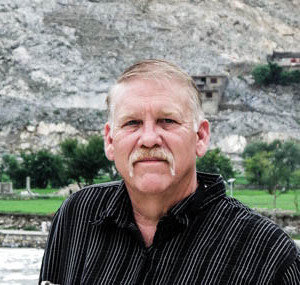 Born with a passion of learning about the history of different cultures, Bob Bales (aka The Traveling Fool) enjoys discovering people and places he finds off the beaten path that most tourists don’t know about. Often found with a cigar in one hand and a good whiskey in the other, Bob likes to write about what makes those people and places he visits special. From Europe to Asia and North America there is always a history and story to be told. 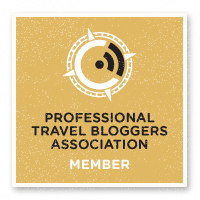 Sign up to receive the latest articles and my bi-monthly newsletter full of the latest travel news and tips.